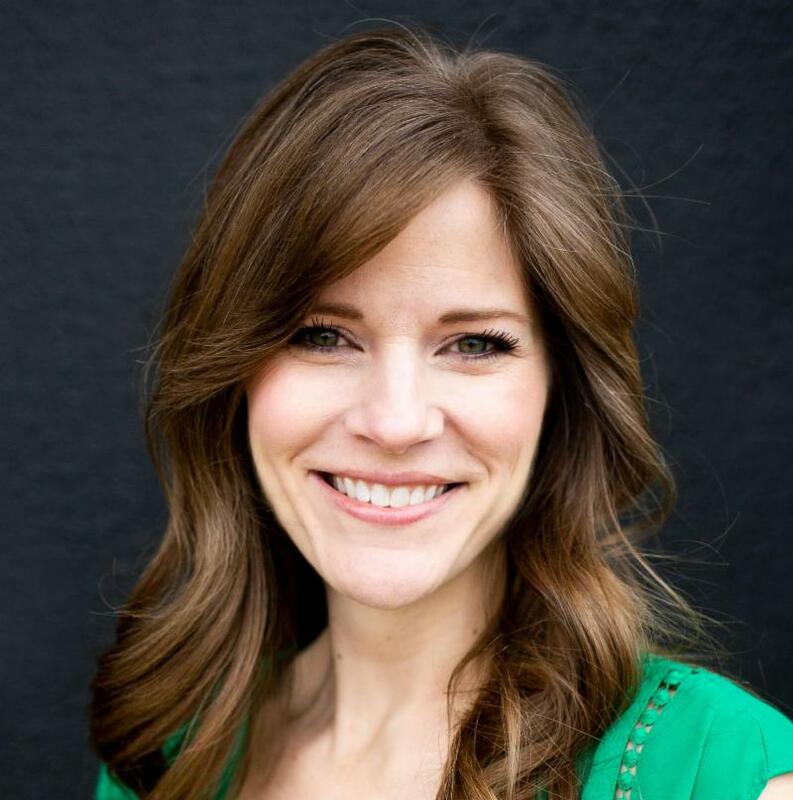 3/1 E-Newsletter: Abortionist License Suspended; Born-Alive Infant Act; PULSE, and more! We were happy to see that our letter and press release triggered action at the State Board of Medical Examiners to suspend the license of abortionist Dr. Kevin Work. Read more below. It seems that many in our nation, often including our courts, portray those physicians who perform abortions to be the victims, as if they are the friendly neighborhood doctors who are there to help women. The truth is that abortion facilities hire doctors who often can't work anywhere else because of their lack of qualifications or history of malpractice and disciplinary infractions. These for-profit businesses, supposedly created for the welfare of women, cut corners in interest of profit, not patients. We will continue to hold the abortion industry accountable and ensure they are following the pro-life laws of our state. 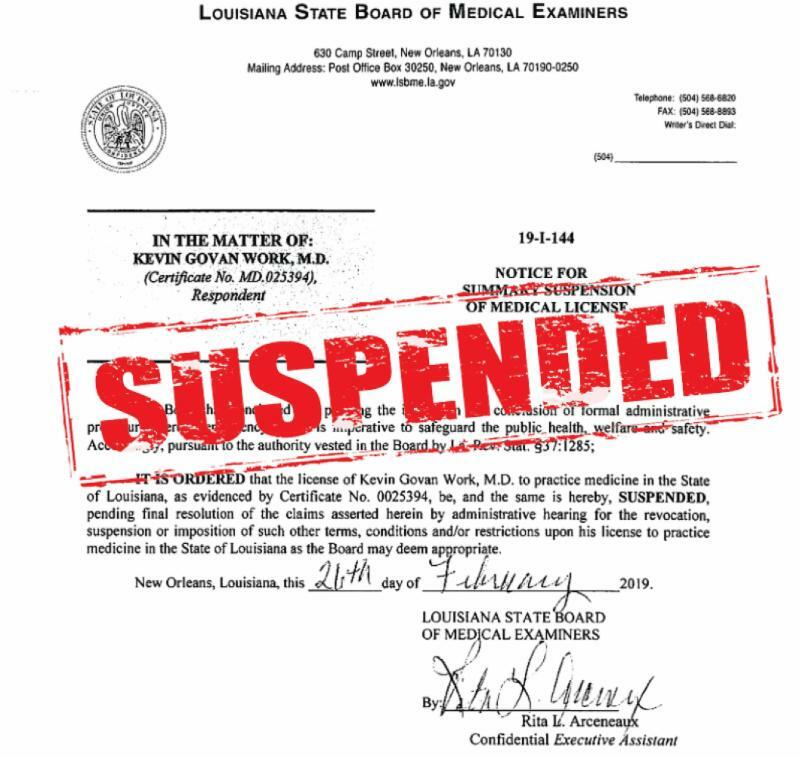 The medical license of Dr. Kevin Govin Work, who has been performing abortions at Delta Women's Clinic in Baton Rouge and Women's Healthcare Center in New Orleans, has been suspended by the Louisiana State Board of Medical Examiners pending final resolution in an administrative hearing. Louisiana Right to Life sent a letter of concern for public safety to the state board last week after discovering that Dr. Work was potentially violating the probation status previously set forth by the state board, when it reinstated his medical license with conditions in 2017. 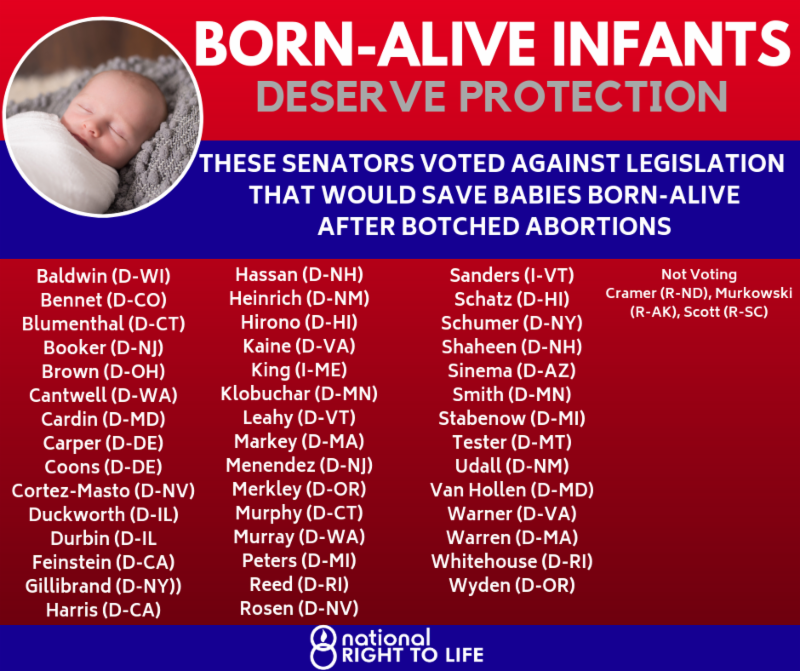 Earlier this week, the U.S. Senate voted 53-44 to advance the Born-Alive Abortion Survivors Protection Act (S. 130) sponsored by Sen. Ben Sasse (R-Neb. ), but pro-abortion Democrats, in a near-party-line-vote, blocked the bill from receiving the 60 votes necessary to move forward (“invoke cloture”). The bill would have extended federal legal protection to babies who are born alive during an abortion. 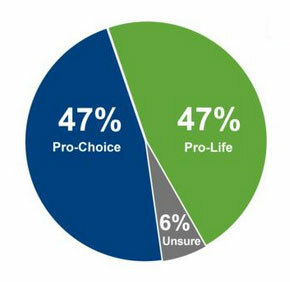 In the first comprehensive survey since a surge of outrage over Democratic proposals for abortion on demand until birth and after, a Marist Poll, commissioned by the Knights of Columbus and released earlier this week, shows a dramatic and substantive increase in pro-life attitudes and overwhelming opposition to post-20 week abortions. The first PULSE Weekend Immersion of 2019 was a hit! 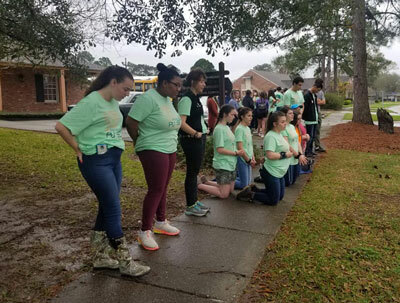 There were 62 students and leaders at Camp Istrouma near Baton Rouge, and the weekend was filled with information and fun activities that got everyone present fired up about being pro-life. The next PULSE weekend, near Covington, is March 29-31. Click here to register. You asked, and we listened! 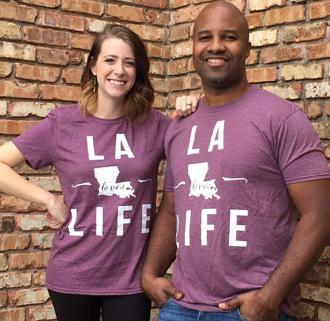 LA Loves Life shirts are back in stock. In addition, all sizes of Preaux Life T-shirts are also now available. 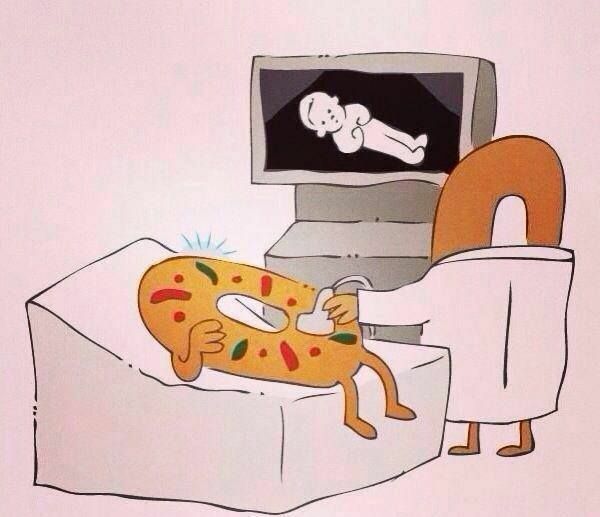 Don't wait to order yours! 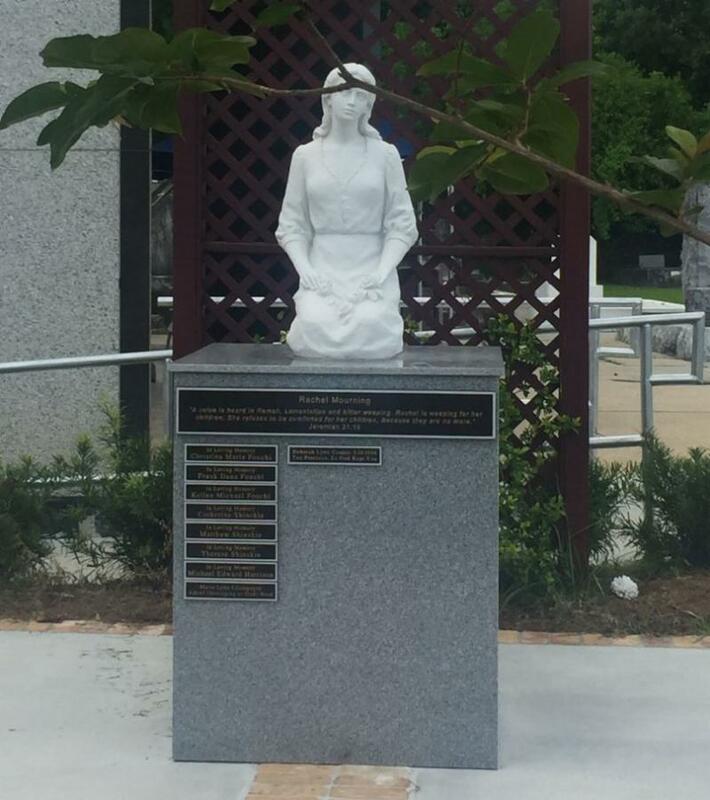 For families that were unable to memorialize their unborn baby, a name plaque can be installed in Holy Innocents Prayer Garden, located at St. Patrick Cemetery No. 1 in New Orleans. The plaques are $100 and available through the New Orleans Catholic Cemeteries. They will be placed on the Rachel weeping statue located in the prayer garden. 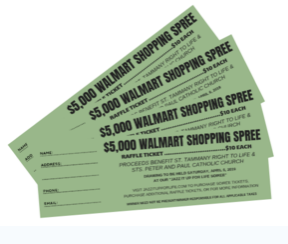 Want to win a $5,000 shopping spree to Wal-Mart? Raffle tickets are available now for $10 each, with proceeds benefiting St. Tammany Right to Life and Sts. Peter and Paul Catholic Church. You don't have to be present to win! The two groups are also co-hosting Jazz It Up for Life, a New Orleans-style soiree for life, on April 6, in Slidell. Click here for info on the event. Click Here to Buy a Ticket! 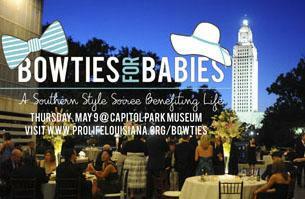 The seventh annual Bowties for Babies: A Southern Style Soiree Benefiting Life, is set for May 9 at the Capitol Park Museum in Baton Rouge. You don't want to miss this night of fun! Patron packages, as well as tickets, are now available! Proceeds benefit the Advertise for Life program, which connects women in crisis pregnancies with a pregnancy resource center that can help them choose life. We are currently collecting items for the Bowties for Babies silent auction. 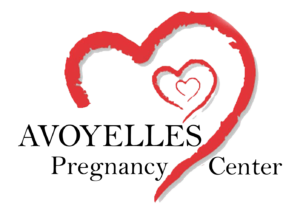 Can you help make it a success by contributing a gift item or basket, a gift certificate to your favorite restaurant, tickets to a local concert or sporting event or even use of a vacation rental? 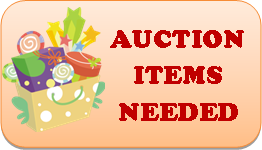 And this year everyone can participate in the auction, whether at the event or on the couch. More details on that will be released soon! The Avoyelles Pregnancy Center, a satellite of the Cenla Pregnancy Center, is set to open at 115 Ferdinand St. in Marksville on April 9. It is the first pregnancy center in Avoyelles Parish and will be open on Tuesdays and Thursdays. 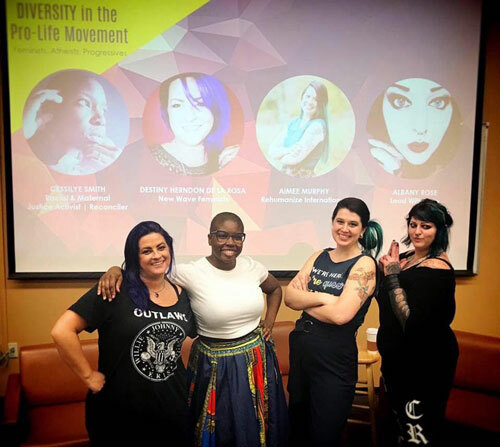 More than 130 people from all walks of life gathered recently for the panel discussion "Diversity in the Pro-Life Movement: Feminists, Atheists, Progressives," hosted by La. Right to Life, Loyola Wolfpack for Life, and Tulane Right to Life.